Poster Session: 10:00 a.m. to 11:30 a.m. Luncheon: 12:00 p.m. to 12:50 p.m.
Poster Competition Awards & Prizes Presentation. Many chronic disabling diseases such as rheumatoid arthritis, psoriasis, multiple sclerosis and systemic lupus erythematosus are increasingly linked to inappropriate and chronic activation of inflammatory cells. A central event in the pathogenesis of these diseases appears to be an aberrant activation of innate immune sensors, most prominently the Pattern Recognition Receptors (PRRs), by nucleic acids that are released from dead and dying cells. Moreover, such extracellular nucleic acids have also been implicated in acute thrombotic disorders such as heart attack, traumatic injury, and stroke in activating the contact pathway of coagulation. In this presentation, I will discuss the application of nucleic acid-binding polymers in the configuration of either soluble or immobilized polycation to scavenge these pathogenic nucleic acids as a molecular strategy to combat inflammation. Kam W. Leong is the Samuel Y. Sheng Professor of Biomedical Engineering at Columbia University. He received his PhD in Chemical Engineering from the University of Pennsylvania. After serving as a faculty in the Department of Biomedical Engineering at The Johns Hopkins School of Medicine for almost 20 years, he moved to Duke University in 2006 to study the interactions of cells with nanostructures for therapeutic applications. After moving to Columbia University in September 2014, he continues to work on nanoparticle-mediated nonviral gene delivery and immunotherapy. 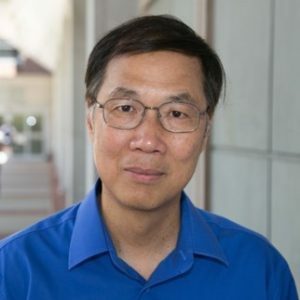 He also works on the application of nanostructured biomaterials for regenerative medicine, particularly on understanding cell-topography interactions and on the application of nonviral vectors for direct cellular reprogramming and genome editing. He has published ~380 peer-reviewed research manuscripts with >45,000 citations, an h-index of 110, and holds more than 60 issued patents. His work has been recognized by a Young Investigator Research Achievement Award of the Controlled Release Society, Distinguished Scientist Award of the International Journal of Nanomedicine, Clemson Award for Applied Research of the Society for Biomaterials, and Life Time Achievement Award of CASNN. He is the Editor-in-Chief of Biomaterials, a member of the USA National Academy of Inventors, and a member of the USA National Academy of Engineering. The Stevenson Biomaterials Lecture Series was established in 2007 thanks to the generous support of the late Trustee’s Ann McOmber Stevenson (Nursing ‘52) and Milton F. Stevenson III (Chemical Engineering ’53). Each semester, the series brings pioneering biomaterials researchers to the Syracuse University campus. Presenters are selected based on their leading roles in biomaterials research, and are asked to speak on their latest endeavors. In addition, Stevenson lecturers visit with faculty and students to exchange ideas, build bridges, and become familiar with the broad range of biomaterials activities at Syracuse University.